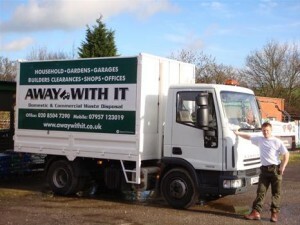 At Away With we’ve been providing commercial waste removal Buckhurst Hill businesses rely on for quality and flexibility for almost 15 years. And all at some of the lowest prices in the market. 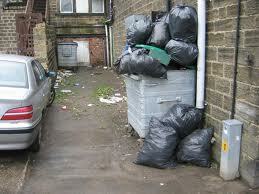 So if you’re looking for commercial waste removal in the IG9 area we should talk! 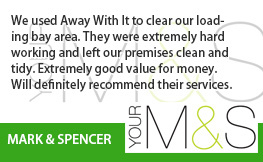 From individual items to full loads and even multiple loads we can shift your trade waste fast. Whatever type of business you are in and whatever your precise requirements we have the perfect solution. Choose from regular daily, weekly or bi-weekly collections. Or use our same day on-demand service for those ad hoc jobs when you just can’t take the growing pile of business waste any longer. Our services are available seven days a week from 7am to 11.30pm so whenever you need us we’ll be there. Our expert team can safely handle all types of business waste including food waste, cardboard, bottles, refuse sacks, old furniture and fittings and more. 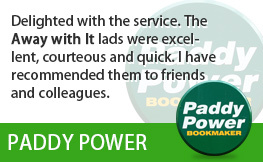 1 – Give us a call to book our services. 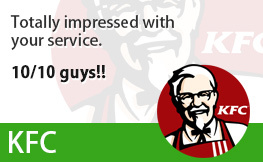 In most cases we can arrange a same day collection. 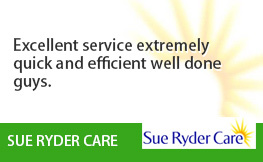 2 – We’ll give you a free quotation with no obligation to your business at all. We can also discuss discounts on offer for regular clients. 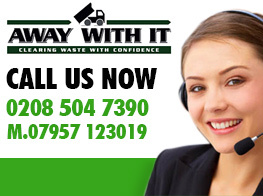 3 – We arrange a time which is convenient for you, turn up on time and take away your commercial waste. 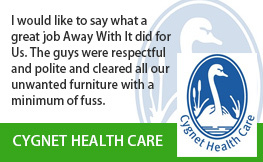 And we leave your business premises clean, clear and tidy. 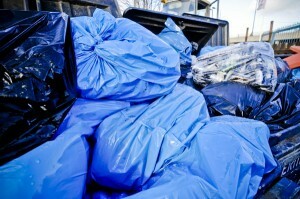 80% of the commercial waste we remove will be recycled or re-used. 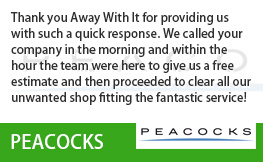 Why not give us a call on 0208 504 7390 or 07957 123019 and we’ll be happy to discuss your requirements for commercial waste removal Buckhurst Hill and recommend a cost effective solution. Alternatively, fill in our handy online form to get a quick, no-obligation quote. Don’t waste precious time worrying about your commercial waste. We’ll take care of everything leaving you free to focus on running your business.